Its been a year of major shakeups for late-night comedy. Jimmy Fallon inherited The Tonight Show from Jay Leno. John Oliver opened a new sociopolitical-issues-explainer-show-with-jokes on HBO which is already making the world a better place. The Colbert Report came to an end as Stephen Colbert accepted an offer to succeed David Letterman as host of The Late Show. But for many young Americans who rely on The Daily Show to keep up with the politics of the day, the news of Jon Stewart's impending departure as host was probably the most bittersweet of all. 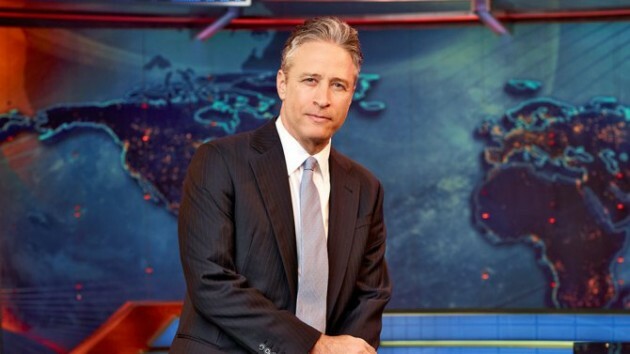 For regular viewers of The Daily Show, the news is not terribly surprising. In his announcement, Stewart cited a "restlessness" that has become more and more apparent over the last few months. It also happens to be perfect timing. Stewart is sitting at the height of his cultural influence (although not the height of his ratings), having mentored comedians like Stephen Colbert, John Oliver, and Larry Wilmore, who are now expanding his satirical legacy with ventures of their own. If there were ever a right time for the king of political comedy to step down, it would be now. It may also be the case that Stewart's style and substance have reached the limit of their usefulness to American society. Or that policy-makers are increasingly employing a What-Would-Stewart-Say test to guide their decisions. Regardless, Stewart will be remembered fondly by those who yearn for a better political and media culture in America. During his 16-year tenure, he mocked and prodded the political system through the Clinton impeachment trials, the Iraq War, and the tumultuous last six years of Barack Obama's presidency. On a few occasions, his comedy had a real impact on the world, like the time he shamed Congress into authorizing benefits for 9/11 first responders, or the time he left CNN with no choice but to take a divisive, cringe-inducing exercise in theatrical punditry off the air. What will Stewart do next? Will he make more movies like Rosewater to entertain and educate us about the world? Only time will tell. Do you watch The Daily Show? Are you sad (or happy) to see Stewart go? Let us know in the comments section below. US and Israel: BFFs or Nah?